Ceiling design is critical in modern interior design and home décor concepts. The architects and designers have discovered and loved the potential of the untapped area long ago. However, still bedrooms and living rooms take our fair share of attention, as most of us see the kitchen as just a working place. 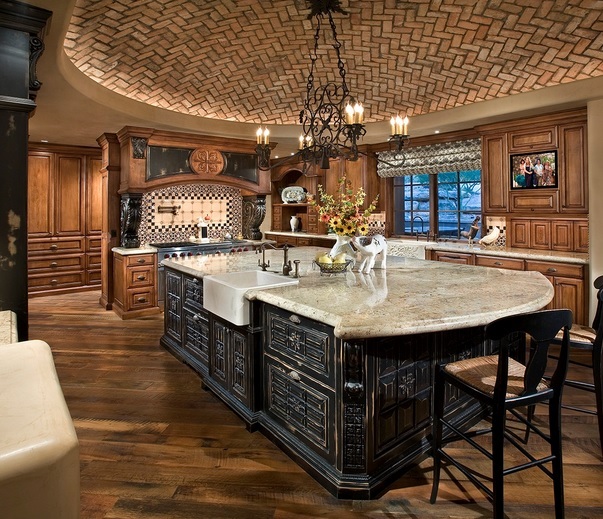 However, kitchen ceiling can also be a great canvas for making tasteful designs and construction. 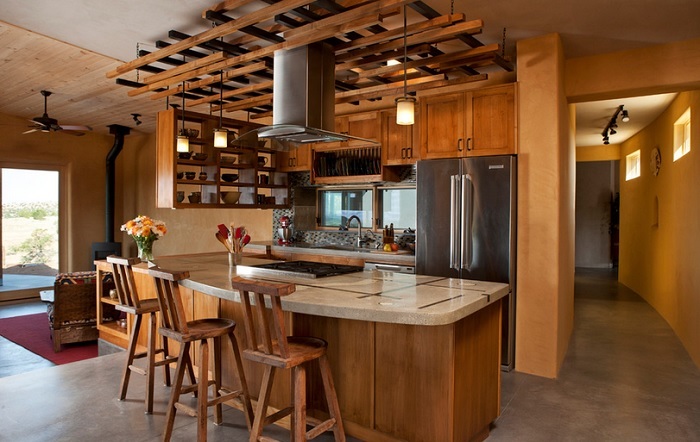 Plenty of ways are there to improve the look of your kitchen by designing the ceiling as a focal point. These beautiful kitchen ceiling design ideas will not only add to the aesthetics but also increase the functionality of the hub of your home activities. A row of pendant lights can add a significant amount of drama into the ceiling design of your kitchen. If your kitchen’s color palette is mostly neutral, choose the lights in a bright color such as red or yellow so that they grab immediate attention. 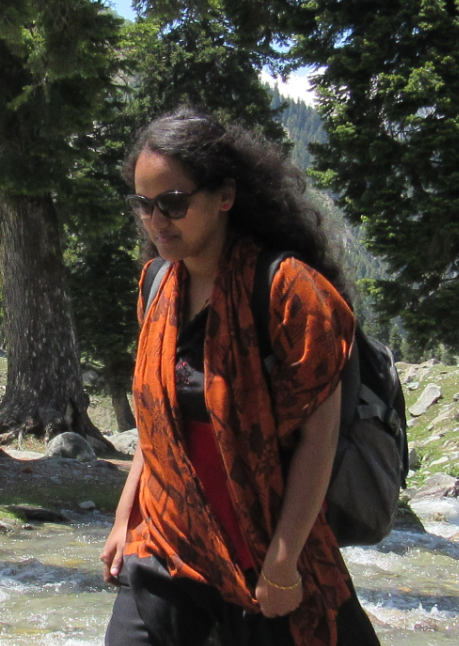 Choosing them in an exotic design or shape will create the same effect too. On the other hand, installing them at different heights will create a layered look. Plus, if you choose them in sleek and streamlined designs, they will add to the overall look of a chic and modern kitchen. 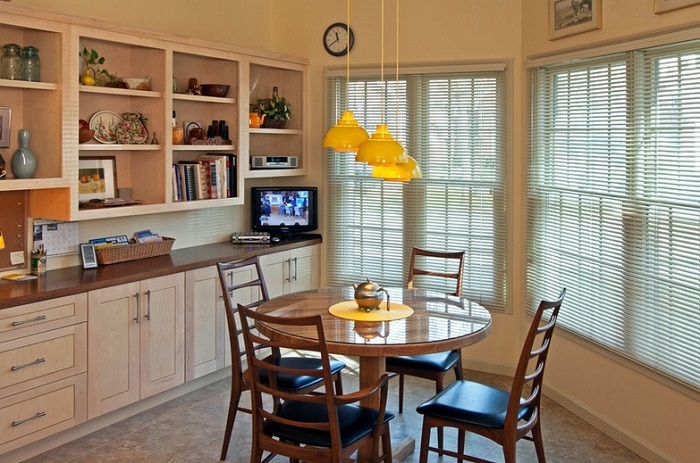 Would you like a few good kitchen remodeling ideas? See the solutions Model Home Makeover has posted. A kitchen must be functional, and an abundance of natural lighting can serve up that functionality the best. However, instead of dotting the ceiling with lights, go for a glorious glass design! 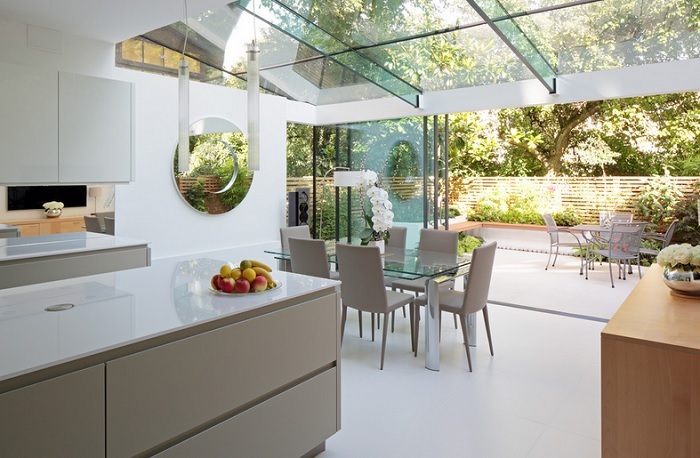 If you have the budget, stretch the glass patch into a fully glazed pitched roof to create a striking effect. Such an awe-inspiring and impressive ceiling is meant to draw the eyes up! 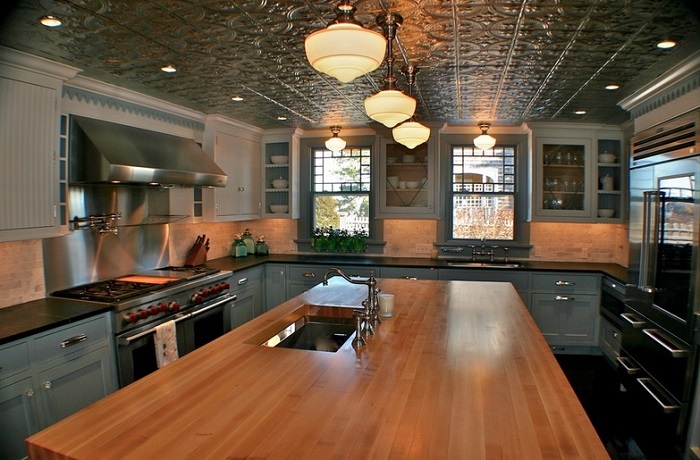 A floating or suspended ceiling will give an entirely different look to your kitchen. Such a ceiling will add depth to space and make it look more intimate, especially if it’s a big kitchen. You can add more interest to the look by adding small ceiling-mounted lights or installing a wooden floating ceiling. For example, beams of wood creating a latticework on the ceiling will add both warmth and visual interest. If you are looking for glamor, go for pressed metal tiles in the ceiling. Who would not like to look up and see the shiny tiles of pressed metal reflecting your entire kitchen space? Pair it up with great lighting and small design details, and it will scream big style! It’s also an excellent option to cover stuccoed or damaged ceilings. Plus, such a ceiling will be termite-proof and will last longer than wooden panels. Perhaps we hated those geometry classes in the school and had nightmares with those triangles and diagonals, but a geometric ceiling looks absolutely stunning. Whether you achieve the look with sleek wooden beams or thin brick veneers, a geometric ceiling will look unmistakably modern and attractive. Choose the wall colors, furniture pieces, and other accessories carefully, and see how your kitchen surprises with an air of glamor and aristocracy under a geometric ceiling. A textured ceiling is an effortless way of creating a profound sense of respite without sacrificing style. You can use a combination of wood and stones for added warmth and elegance, especially if you prefer your kitchen to have a traditional look. 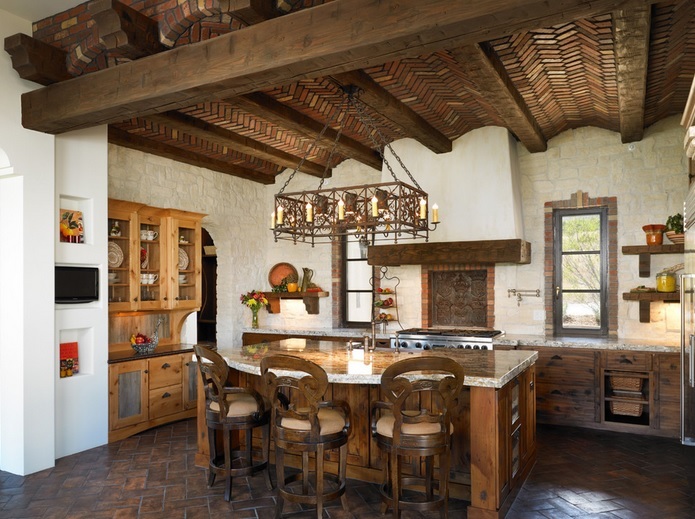 You can keep the ceiling as it is or add more drama to the already interesting textures by adding an eclectic or country style chandelier at the center. Kitchen is the place where you meet with your family members at least two to three times a day. Whether it’s having breakfast in the morning or enjoying a hearty dinner after a long day, the kitchen should look and feel good where you feel comfortable sitting and catching up with everyone. Paying attention to the kitchen ceiling and dressing it up with some architectural elements and decorative lighting will definitely transform it into a more charming and enjoyable place.